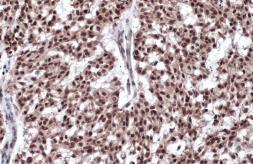 Specificity/Sensitivity : Strong Erb staining in epithelial cell nuclei. 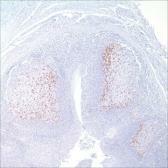 Occasional weak to moderate staining is seen in surrounding stromal and endothelial cell nuclei. 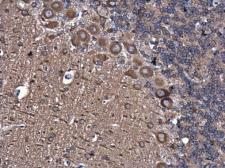 Sporadic light cytoplasmic staining is sometimes observed. 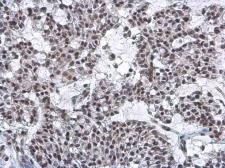 We have also successfully detected ERb in colon and ovarian tumors using the same antibody.